An opportunity star is born. It gives anyone with a dream a chance to create a better life, regardless of their background, education, or experience. When the opportunity first began, there were no tools, just people with enthusiasm, a plan, and some products. Soon audios of seminars were shared with others, to aid them in building their own independent business. Then, positive books were introduced for long-term personal growth. To help people succeed even more, a system and a pattern of success were developed for them to follow. It provides tools and a positive environment in which people can grow and help others do the same. You now have a new opportunity to use the Internet and participate in e-commerce. It's the latest approach to help you move more products than ever, and can serve you as a tremendous tool to help you realize your dreams. After laying a solid foundation of more than forty years of dynamic growth, the products, the tools, and the opportunity for you to succeed are now better than ever. 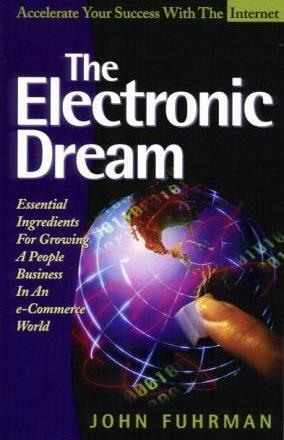 This book will get your people on track, excited, and achieve even greater success using the Internet!